At RMT Webs, our goal is to provide superior website solutions, so our clients get results. The Internet offers tremendous potential to everyday people and businesses, but it is quite easy to get lost in the vastness of the online ecosystem. It helps to do it right and we work with you so you can take your offering to the world. Do you have a website that does not rank well or produce results? Do you need to update ecommerce specials or database information? Or do you just want to start from scratch, and build a website you can be proud of - that gets results? We offer a variety of services, from renovation or maintenance of an existing site, to total site development; including domain name registration (DNR), Domain Name Server (DNS) setup, web site hosting, e-commerce solutions, and optimization and submission to search engines. Ready to put the Internet to work for you? Located in Jacksonville, Florida, we specialize in web site design, development, hosting, optimization, and E-commerce. We also offer full photographic and digital imaging services. Our creative designers, technical writers, and SEO professionals have many years experience in sales, marketing, manufacturing, and distribution to help you develop, promote and optimize your identity online. "We worked with RMT Webs for close to 3 years and were overwhelmed with the results. When we started this project, we had no web presence at all. RMT was able to design a website that incorporated the very latest technology in a short period of time and at a very reasonable cost. The combination of cutting edge programming technology and RMT's expertise in achieving high rankings with the major search engines has resulted in our ability to position ourselves within our market in a very short period of time. Our website is our leading source of new business and generates new sales leads virtually every day. RMT webs has done a fantastic job for us and I would highly recommend them to anyone who is interested in creating a web presence or improving their market position through the use of the internet." 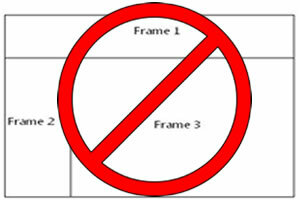 Frames are commonly used for easy layout, however search engines can find them difficult to navigate; like getting "stuck in a box". Rather than frames, standards based CSS ensures that search engines can navigate, index and properly rank your site. 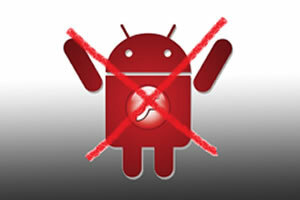 Adobe Flash halted all development of the software for smartphones so it only displays a blue dot. 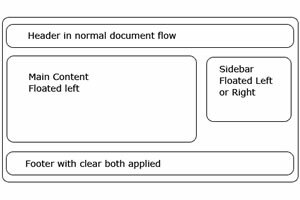 Fortunately, the efficiency of standards-based CSS and markup is available, without the overhead of Flash or the difficulties of open source script libraries. 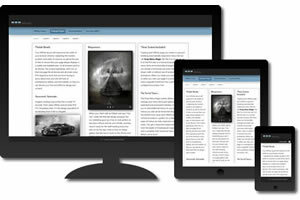 Responsive and Mobile Ready, one Web site that works perfectly on desktop, laptop, and mobile devices. Your page responds and adapts to the width of any device and any browser, supporting shadows, rounded corners, and animated transition CSS 3 effects. 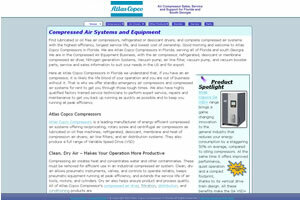 Florida Air Compressor Atlas Copco Compressors has four Florida locations offering compressed air equipment sales, service and parts serving all of Florida and south Georgia. 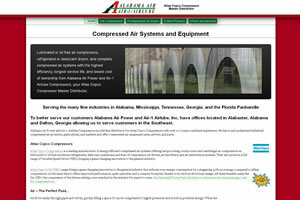 Alabama Air Compressor The Atlas Copco Compressor distributor with two locations to serve you, one near Birmingham Alabama and one in Dalton Georgia. 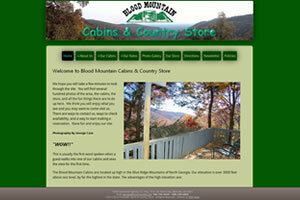 Blood Mountain Cabins Visit this site for some beautiful photos by George Case, and visit the cabins for a wonderful vacation. 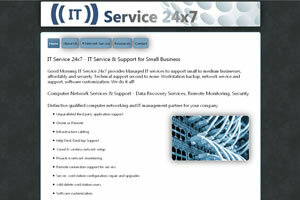 IT Service 24x7 IT Service 24x7 provides Managed IT services to support small to medium businesses, affordably and securely. What is the best way for a web site to rank well on the internet? Start with a good web site! We use the best tools and latest technologies to build web sites. Properly executed, Cascade Style Sheets (CSS) and frame-less designs follow the rules and comply with the standards, and the search engines can find your content... so our clients get results. A successful web site finds harmony between form and function and we develop custom designed web sites and graphics individually crafted to meet the Client's objectives. Get Found - A website serves no purpose if it can't be found. Provide Content - The site must have content of interest to the visitor and be easily navigated so they want to stay and see what it is about. Call To Action - Get your visitors to buy, think, remember, listen, or do what the site intends. Rule No. 1 - They are computers. Rule No. 2 - They are very smart computers. A lot is written about search engine ranking, and it is generally agreed that it is determined by two things: popularity and perfection. Popularity is defined by the search engines as other sites pointing or linking to you, and perfection is of course the quality of your site. You do have an advantage, if you just do it right! ©2015 RMT Webs. All Rights Reserved.